The Australian melon industry has developed a Best Management Practice Guide for melons to inform growers about fruit quality and food safety practices. The BMP Guide assists melon growers to identify improved practices in food safety in their field and post-harvest practices that will provide consumers with high quality safe produce. Do not purchase melons that are bruised or damaged. If buying cut melon, ensure it is refrigerated or surrounded by ice. Fresh melon should be refrigerated within two hours of peeling or cutting. Cut melon should be discarded if left at room temperature for more than 2 hours. Wash all unpeeled rockmelons with cool tap water and detergent immediately before peeling. Scrub melons with a clean produce brush. Use clean cutting boards and utensils when handling fresh produce. If possible, use one clean cutting board and knife for fresh produce and a separate board and knife for raw meat, poultry, and seafood. 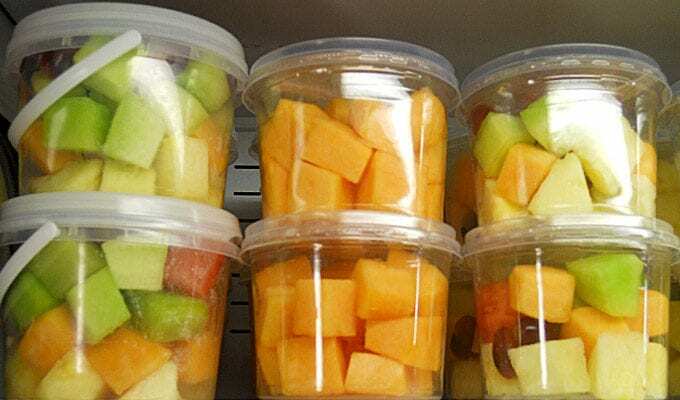 Fruit should be kept refrigerated and is best eaten within a day or two. Melon does not ripen after harvest. Cut surfaces of fruit should be covered to prevent them drying out or deteriorating. A video of the best way to peel rockemlon is available here.